1969 Wayne Lynch Double Ender 7 ft 9"
DESIGN: Double Ender: Wayne Lynch Involvment. Foam blank with red Glue-line stringer, Volan glassed with oval knee-patch. Post production leg-rope plug r/h added in 1987. FIN: 10" (est.) GreenoughStage III, orange laminated. Deck: Large Wayne Lynch Involvment/J.A. Surfboards red/yellow at front sweet spot, above. Deck: Wayne Lynch 7' 9" 1007 - pencil on blank. Exhibited : Surf ! Enviroment Politics and Life 1960 - 1985. La Perouse Museum, The Cable Station, Botany Bay National Park, Sydney. 12 December 1997 - 13 June 1998. Dimensions, with difficulty by Geoff Cater - with no tape measure, I measured in multiples of a available notebook, and later re-calulated these figures into feet and inches. This method was unsuitable to calculate any but the basic length and width. An advertisment for John Arnold Surfboards, late 1969 lists the shapers as Wayne Lynch, Wayne Dale and Sig Kwiatkowski. I assume Dale and Kwiatkowski were responsible for the production boards. An J.A. advertisment late 1970 notes the 'designers' as Wayne Lynch and Wayne Dale and they are available in "All states of Australia - East and West coast USA - England - France". Export models were often fitted with fin boxes to faciliate freighting, first with Waveset (one USA circa 1969 example noted, August 2008) and later Simplex fins and boxes. Presumably by now the contact with John Arnold Surfboards had ceased. Said to have single handedly revolutionised backhand surfing, Wayne Lynch won the European Title in 1968, the Australian Junior Men’s Title 1967, 1968, 1969 and 1970, and the Bells Beach Junior Title 1966, 1967, 1968 and 1969. He starred in Paul Witzig’s films Evolution 1968 (Wayne Lynch rides at least seven different boards in this film, shot in about12 months; illustrating the rapid design changes in this period) and Sea of Joy 1971. An excellent example of this design in near original condition (except for the leg rope plug, still waxed) by one of Australia’s most famous surfers. Note that "Invovlment" is spelt incorrectly on the decal and in advertising copy, it should be Involvement. The template image is not square due to obsuring objects on display. 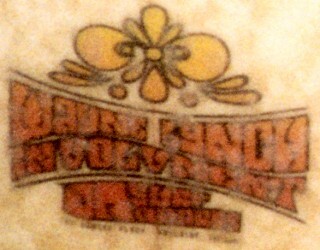 Template image is poor and there is no image of the markings. 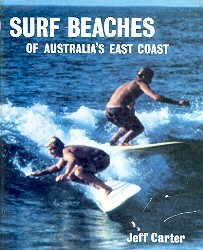 Advertisement: Surf International 1969 Vol 2 #6. CONDITION: 9, shame about the plug. from Pollard, Jack (ed.) :Ampol’s Sporting Records, page 607. Geoff Cater (1998-2018) : Wayne Lynch Involvment, 7ft 9'' 1968.